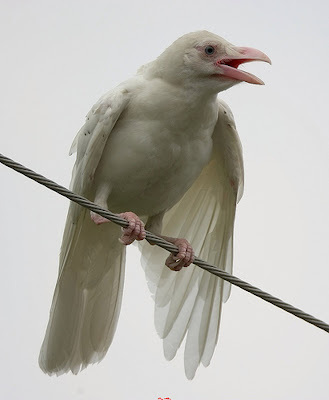 I have been told by Persons of good Reputation, that in King Charles IId's time there was a White Crow in St James's Park." How did Charles II come to be in possession of a white crow? Two White Crows I have seen in these Parks, One of which was Presented to King Charles the Second, and kept as a Curiosity in the Park at St James's, the Present was made by that ingenious Gentleman Edward Tidesley of the Lodge, Esq;. The Lodge is Myerscough Lodge in Lancashire, and given the likely timing, it is clear that it is Edward Tyldesley 1635-1685 who gave the crow to Charles II. Myerscough Lodge had previously received two royal visitors. James I had stayed with Edward's grandfather for either two or three nights in August 1617. And Charles I stayed with Edward's father—the Cavalier, Sir Thomas Tyldesley 1612-1651—on 13 August 1651. This was just 12 days before Sir Thomas was slain at the Battle of Wigan Lane. Edward Tyldesley 1635-1685 was also a fervent supporter of the Stuart cause and one of those listed to become a Knight of the Royal Oak. The creation of this new order was however abandoned amidst fears it could cause the re-emergence of divisions "it being wisely judged, that the order was calculated only to keep awake animosities, which it was part of wisdom to lull to sleep" (FN1). That whereas yr petitioner (by yr royal Consent) did lay down a considerable sum of money, in ye purchase of yr majesty's chase of Meirscough (FN2), in yr County Palatine of Lancaster, from out of the hands, of those who had purchased it from ye pretended Commonwealth, since which by me hee have taken great care in the preservation of those few deer which the fury of the rebels did spare; as also ye petitioner have been instrumental in the returning some few of yr Royal game in ye Forest Bolland (FN3), in the purlieus of which Forest he hath a Neighbouring Estate. It is likely that this petition was successful. Certainly a second petition from Edward Tyldesley seeking related offices produced a swift and positive response. Charles II issued instructions to "our Atturney or Solicitor Generall" to prepare a grant to "our trusty and well loved Edward Tyldesley" of the office of "Steward and Chief Forester of Myerscough, Wyersdale and Quarnmoor forests and of Chief Forester of our forests of Amounderness and Bleasdale". Was the white crow perhaps discovered in one of these forests? 3. The Forest of Bowland.